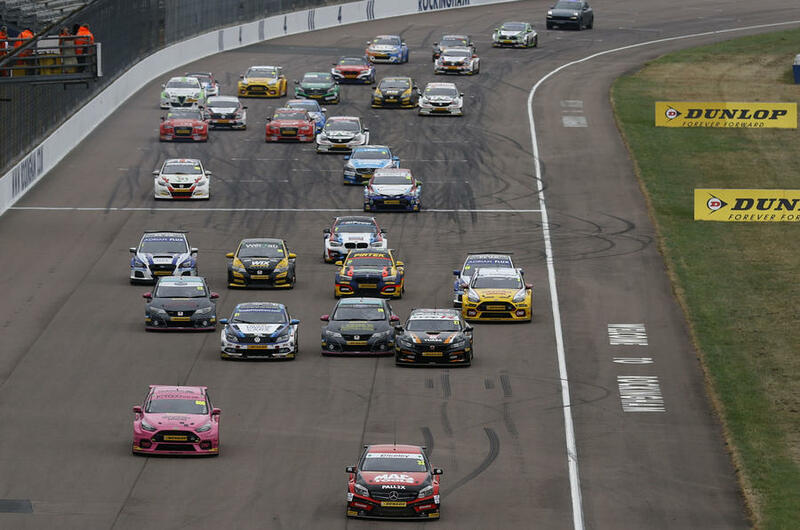 Adam Morgan, Ashley Sutton and Chris Smiley shared the race wins on the British Touring Car Championship’s visit to Rockingham, while BMW driver Colin Turkington left the Northamptonshire circuit with a narrow points lead. Ciceley Motorsport Mercedes A-class racer Morgan claimed his first ever pole position in qualifying and duly converted that into victory in the opening race. He was helped by a mighty battle for second between Motorbase Ford Focus RS driver Tom Chilton and reigning champion Sutton. Subaru Levorg driver Sutton eventually got past with a mighty move in the Esses, but by that point Morgan was in the clear. Sutton’s runner-up spot put him on the front row alongside Morgan for race two, and he used the rear-wheel-drive traction of his Levorg to storm into the lead on the opening lap. Morgan tracked him all the way, but couldn’t pressure too hard. Having retired from the opening race with mechanical issues, Tom Ingram started 27th on the grid in his Toyota Avensis. But he put in an incredible charge to finish the race in third. With title rival Turkington two spots back in fifth, that gave Ingram a narrow lead in the points – but only for a few hours. Having finished tenth in race two, Chilton drew pole for the reverse grid finale, but in wet conditions he was one of a number of drivers to run wide at the first turn, with plenty of contact as a result. BTC Norlin Honda Civic racer Smiley dodged the chaos to tale the lead. The 26-year-old kept his cool during a mid-race safety car, and pulled away to take his maiden BTCC victory in style. There was drama to the final corner behind. Matt Simpson (Civic) held second until running wide under pressure from Turkington at Brook. His slide allowed Sam Tordoff (Motorbase Focus RS) and Ingram to close in, the three crossing the line almost side-by-side – but with Simpson holding into the final podium spot. Turkington’s second place returned him to the top of the points table, four ahead of Ingram. The next event is at Knockhill on August 25/26.